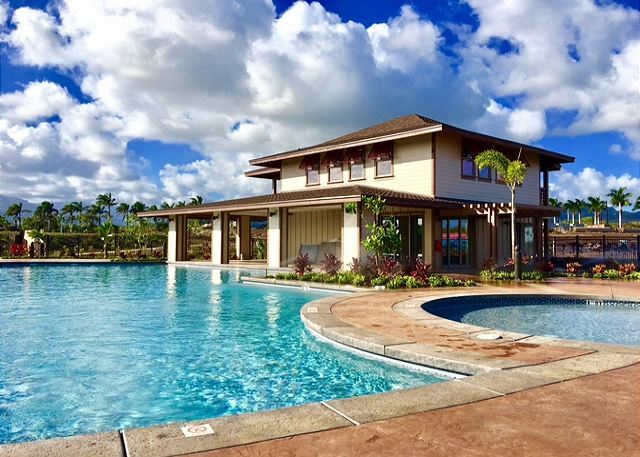 The sparkling new Pili Mai Resort is an open-skied sanctuary within the popular town of Poipu. Rolling hills of golf course greens surround the estate, while the entrancing Ha’upu Mountains sail into the distant sky. With space to stretch, relax and rejuvenate, this exclusive resort provides privacy, play and close proximity to Poipu Beach and town. 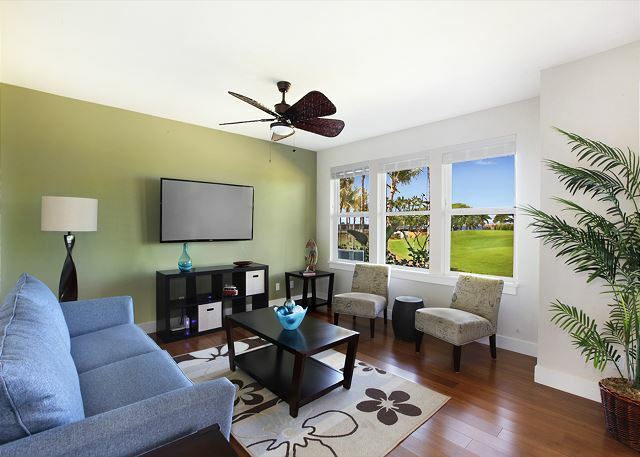 Great for golf enthusiasts, this suite looks onto the 9th fairway of the Kiahuna Golf Course AND provides exclusive access to the owner’s private golf membership! You have the right to play the Kiahuna Golf Course for $55 per round with cart included anytime. Pili Mai 10H is a ground floor, luxury 2 bedroom townhome with plantation-style architecture and over 1,200 square feet of living space. Newly furnished and decked with bamboo floors, koa cabinets, a gourmet kitchen and central A/C, this villa is a fresh find. 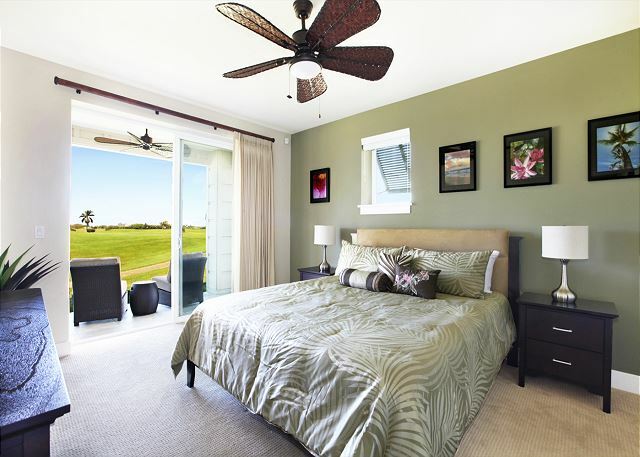 Revel in all the bells and whistles of a brand new tropical vacation rental, with private access to one of Kauai’s most challenging and experiential golf courses. Nothing to review. All was great. Everything worked, well stocked, and. Dry clean. We loved our stay in Poipu at this vacation rental. The central air was fabulous and we didn’t have a single complaint. Very roomy condo for the two of us, Pool was so very nice —- would do it again in a heartbeat—we come to the islands every two years—this time we decided to break the areas up where we wanted to stay—first was Poipu, then Princeville then the Lihue resort area.—see you in 2 years!!! We loved staying on the golf course. The location is gorgeous with a lot of great food choices nearby. Lots of things to do near here. Good location for visiting local attractions. We absolutely loved the condo we stayed in at Pili Mai on Kauai. The location was perfect, the surroundings were quiet and it was a lot of fun to watch the golfers every day. The cart path of the golf course was perfect for morning walks to view the sunrise or to just take in the surroundings. The condo itself was clean, modern and had everything we needed for our stay. We will definitely stay there again when we go back! Nice new condo with convenient parking. Clean, comfortable, and a well-equipped kitchen. 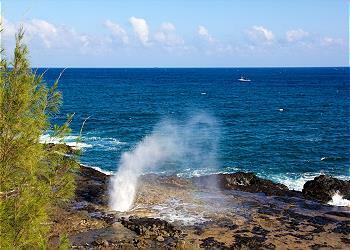 Close to the Poipu beaches and not far from Lihui. Beautiful place, great amenities, helpful app, amazing location, pool and fitness center were great (though I would have hoped they were open earlier than 9AM and a bit later than 9PM). Would stay here again! We had a wonderful stay at Pili Mai. The condo was modern clean and had all the beach toys you would ever need. The condo was right on the 9th hole with beautiful grounds surrounding. The management was very helpful and responded quickly. Nite: The local roosters sometimes start crowing at 5 AM so if you are a light sleeper bring ear plugs. Overall 5 Stars. Everything was great about the stay!! The location was awesome! We were close to the shopping centers and a short drive or ~15-20 minute walk to the beach. We were a short walk to the golf clubhouse. The home was very clean and had everything we needed! I will definitely stay again on my next visit! A beautiful condo for our Hawaii vacation. 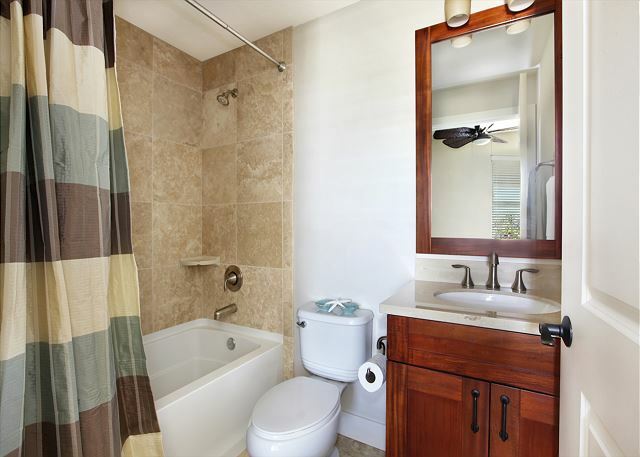 The property is close to restaurants and beaches in Poipu. Overlooked the golf course. This condo was beautiful and had all the amenities of home. We cooked several meals and they had everything we needed, including spices. The property was beautiful and the construction never once bothered us. We never heard one sound. The pool and spa are incredible and make for an enjoyable night after a long day at the beach. They had 4 beach chairs, a snorkeling mask, tote to load everything to and from the beach and a cooler bag. We left 4 pairs of water shoes behind too. The washer and dryer was very convenient. The condo is decorated beautifully, with lots of upgrades and extremely clean overall. We would definitely rent here again and highly recommend this condo to anyone considering. This condo and complex is wonderful. We have enjoyed everything that this condo has to offer. The staff was also extremely helpful, knowledge and friendly. Kalo is the property manager and he is out of this world amazing! He helped my husband put together a few surprises for me and really went out of his way to make it special. 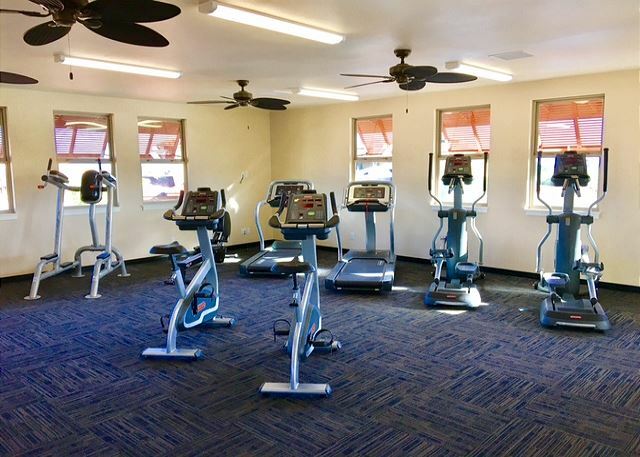 The condo is clean, inviting, loaded with fabulous amenities like a washer and dryer, central AC, full stocked kitchen, dish soap, starter laundry kit, travel size shampoo, conditioner, lotion. This condo has upgrades that everywhere you look. The view is beautiful. There is construction going on right now but you would never know it. It never interfered with our stay and we didn't hear loud noises. 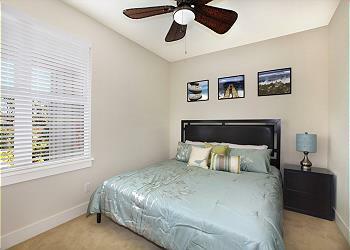 We had a wonderful family vacation in Kauai, and the rental unit was all that we could have hoped for: very modern, in perfect condition, and very well located. (The complex pool hadn't yet opened so we were granted access to a nearby athletic club which worked out just fine. Our stay at Pili Mai Poipu 10H was exactly what we hoped for. The condo was clean,spacious and blessedly air-conditioned. The full-sized washer and dryer were also appreciated. We enjoyed the quiet and calm atmosphere of this particular development. The golf-course view was nice with a peek-a-boo view of the ocean in the distance. Can't wait for the pool to be available! We had a great stay at PiliMai. It was beautifully outfitted. The only negative was a rather loud air return in the master bath. We sleep with a fan on usually anyway so it didn't bother us. If looking for a quiet location situated on a golf course, yet with easy accessibility to beaches, look no further. Overlooking the 9th greening one can enjoy their morning coffee as the first golfers approach. An added feature is the availability to play the course at a discounted rate. 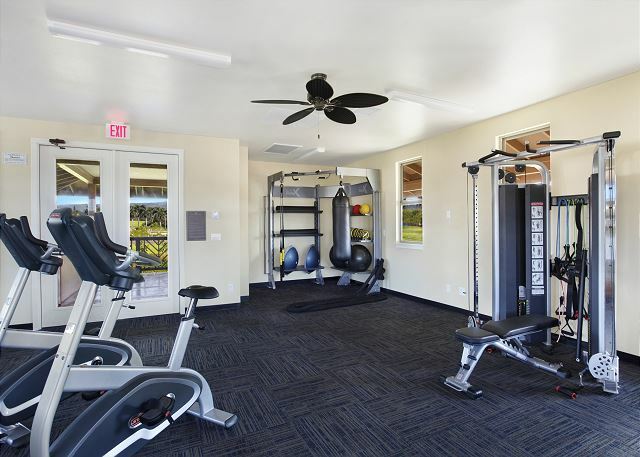 The rental is fairly new and has all the amenities one needs in a short or long term rental. While there is construction going on close by, it did not interfere with us. Garage is small and only accommodates small vehicles. The managing group was very responsive, yet it would have been helpful for them to have more detailed information regarding the TV, local services and checkout procedures. Place was outstanding! Very clean, lots of space everything we needed and more ?? Property staff bent over backwards with any & every request. It was great they answered calls all the time & you never had to speak to a machine. My husband and I recently stayed here with another couple. 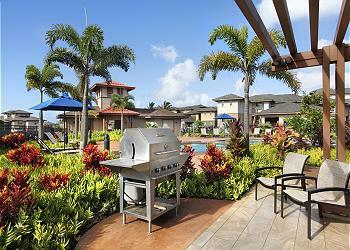 The location was perfect, easy access to everything in the Poipu and also very quiet. The property was in excellent condition with everything that we needed (beach chairs would have been a bonus, but towels were provided). The layout of the condo provided privacy for each bedroom and having ensuite bathrooms in both bedrooms was great. Very nice accommodations. Close to poipu beach. Will be Excellent once pool is built. We stayed for 3 nights mid Aug16. The condo is very impressive, exceptionally well kitted out, everything works, everything is brand new. All high quality gear....bed linens, towels, beach towels, toiletries etc etc. Only thing missing was a couple of beach chairs as there is no pool yet on this new development - no big deal though. 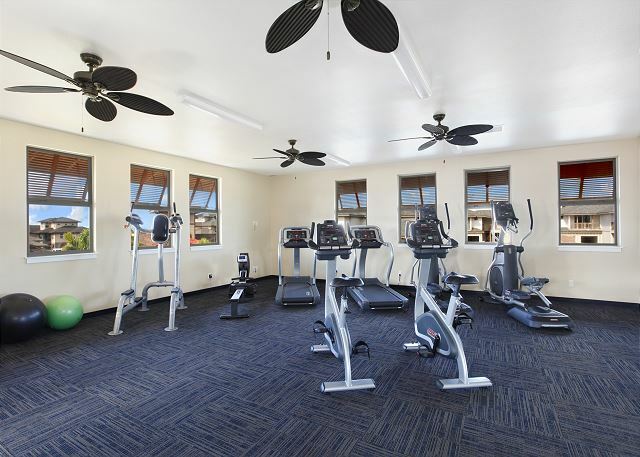 Good location, only a short drive to Poipu beaches. 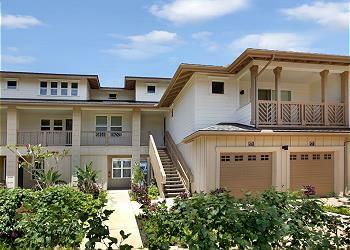 Within a 5-7min walk to Poipu shopping village and just over a mile to the shopping village at Kukuiula. Very easy and efficient communication with the guys at Kauai Exclusive. Nice unit. Kauai Exclusive always available to answer any questions you might have.